Part 3 Enterprise browser usage is a messy subject. The enterprise is not what it once was; the days of the homogeneous Windows empire are past. Not only are alternative operating systems like Apple's OS X gaining traction in the enterprise, but the desktop is no longer a browser administrator's only concern. The consumerisation of IT has moved us past the simple, easily managed world of Windows on the desktop and BlackBerrys in our pockets. While popular amongst users, this latest trend in IT exacts both privacy and security tolls on business and users alike. Enterprises need centralised control over browser configuration. Whitelisting and blacklisting browser extensions is critical, as is the ability to manipulate all of a browser's built-in security settings. Centralized certificate management is another common issue. Most browsers can treat different websites with different privilege levels, and these lists need to be centrally managed. Similarly, enterprises need the ability to control locations of downloaded files, anti-malware integration and permitted file types. Every business' needs are different, yet even in the face of the consumerisation of IT the enterprise need to exert control over browsers for security purposes remains constant. The question is: how? The traditional enterprise environment consists of desktop systems running some flavour of Microsoft Windows. These desktops are easily managed, and configurable via Active Directory. Active Directory's Group Policy Objects (GPOs) and Group Policy Preferences (GPPs) offer administrators a simple, centralised, and secure method to lock down Internet Explorer's (IE's) settings. This includes the ability to configure browser extensions such that they require permission for every website that attempts to utilize them. This is a critical security feature. Certain common extensions such as Java, Reader or Flash provide worrisome attack surfaces. Without the ability to lock these browser extensions down, no internet-connected computing environment can ever be considered secure. 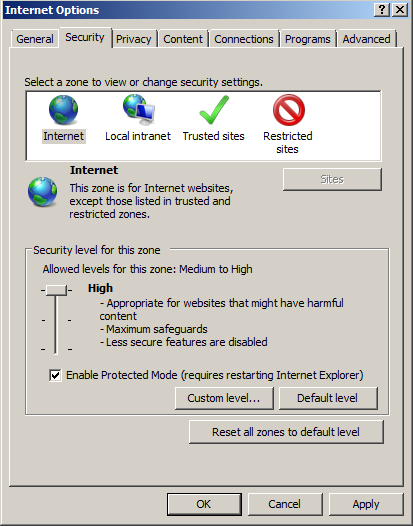 IE has a horrible public reputation for security largely due to the zombie-like persistence of IE6. Microsoft has spent a great deal of time and money making Internet Explorer as secure on its own as Firefox with a plethora plug-ins. These efforts have resulted in a new generation of Microsoft browser. IE8 and later can be made very secure; they even include sophisticated anti-phishing security. While some aspects of user privacy are worrisome - specifically the ability of advertisers and website owners to track users' browsing habits - browser issues of interest to enterprise and corporate security are perhaps best served by IE. Corporations don't particularly care if advertisers can track the movements of their employees. While industrial espionage via web tracking is theoretically possible, if you have legitimate concerns about Google being able to glean corporate secrets via your browsing habits, far more industrial-strength security measures are called for. Corporations do care about viruses, Trojans, and other malware finding their way onto network PCs. 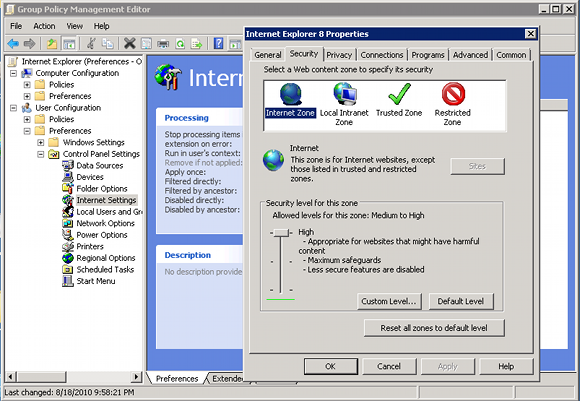 Here, a fully up-to-date IE can provide a secure browsing experience with unmatched manageability.